Please accept my humble obeisances. All Glories to you. All Glories to You and only You for submerging this earth planet with the Glories of Lord Sri Krishna (The Holy Name). 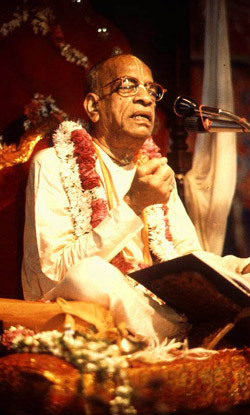 All Glories to You and only You for being “The Greatest Exponent of Krishna Consciousness in the Western World.” It was You that came up with that phrase to be put under your pictures in all of your books. Somehow? That phrase had been removed from your books, but I have been assured it was going to immediately be put back under your picture in all of your books again. The response I had received was that the BBT leaders had no idea that it was missing nor how it had happened. I think I know…… due to the imperfect senses there are those who have forgotten who you are, and therefore it was ignored. Yet those same imperfect senses allow your books to be ravaged with changes. I pray they humble themselves to bring back the Original Books as they were perfect, are perfect and always will be perfect. A small grammatical change may occur, but what has been done appears to be major. Therefore since we are all so covered, they should have been just left alone. 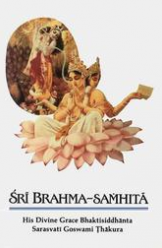 All Glories to You and only You for being the “Greatest Exponent of Krishna Consciousness in the WHOLE World “as before you came into this world even India was forgetting who Krishna is and beginning to give up all religious principals. Most people were worshipping everyone but Lord Krishna. They had ignored Lord Krishna and it was………..